“Oh no, of course not,” said the children’s mother. I find the idea of children who work interesting because they are fundamentally still children. My grandmother was still a child. Yes, she had to sweep floors and wash dishes, but she still lived at home, she still spend her free time doing all the things fourteen-year-olds do, she wasn’t kicked out and expected to make her own way in the world; in fact, after the War Office decided that nannies were unpatriotic, she moved back home to work for the fire brigade, and didn’t leave home again until she married. 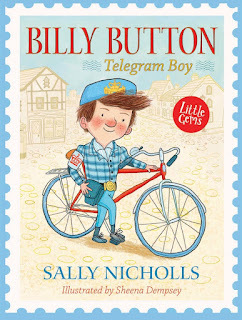 When researching Billy Button: Telegram Boy, I went to the British Postal Museum and was given a whole folder filled with reminiscences of real-life telegram boys (and girls). It was fascinating. In larger city post offices, telegram boys would wait in a big room to be given jobs. During both wars, they would have to deliver telegrams telling families that their husbands or sons had been killed or injured. In those cases, they’d be told what the telegram said, so they knew not to wait for a reply. They’d be told what to do if the recipient fainted or had hysterics, and sometimes they’d have to knock on neighbours’ doors to find someone to sit with the recipient. One telegram boy even had a story about the day the post office received the telegram saying his own father had been killed. There were some fun stories too. The boys got up to all sorts of mischief, including lots of fights, and did plenty of coming home the long way round so as to avoid having to sit and wait in the office for new telegrams to come in. If they got in trouble, they had to write letters of apology to the Post Office. By the time Billy is riding his red bicycle, the school leaving age is fourteen, so any work children do will have to fit around that. But I found stories in that folder about telegraph boys (and girls!) 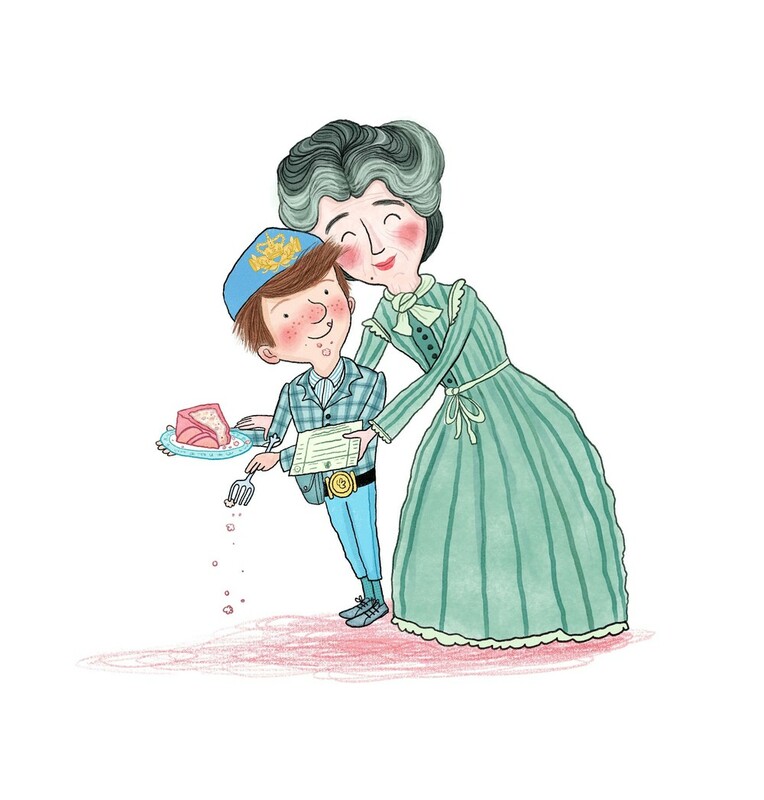 delivering telegrams from as young as eight or ten. Many of our assumptions about what children can and can’t do are cultural. I’m glad children nowadays aren’t sent down mines or up chimneys, and I’m glad we have universal free education up to eighteen in this country. But when I hear about teenagers who aren’t allowed to go into town on their own, I’m a little sad. Young people are capable of a lot more than we sometimes remember. And though I’m pleased that young people in this country don’t have to work for their living, it’s worth remembering that not long ago, many of them did. Billy Button has always dreamed of being a telegram boy. He loves their smart uniforms and shiny bicycles, but he’s too young for the job. 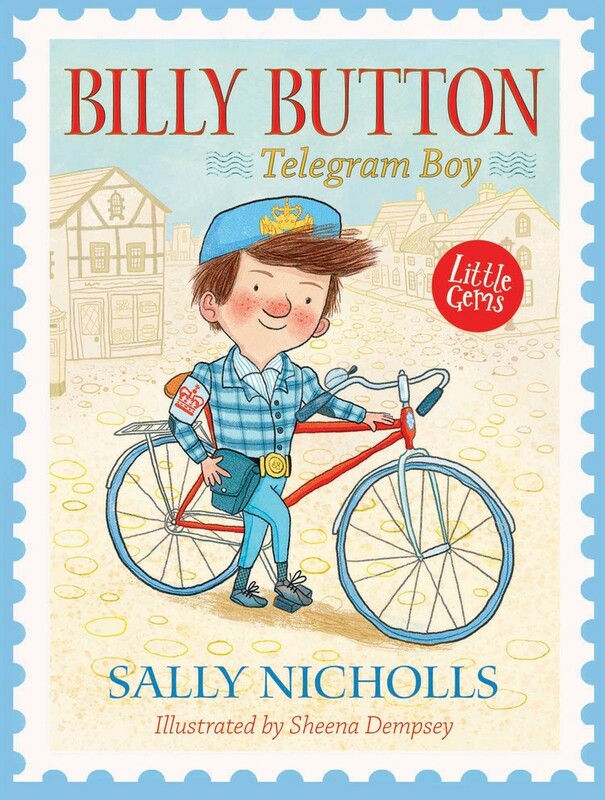 So when the regular telegram boy breaks his arm and Mr and Mrs Button are in urgent need of a new boy, Billy jumps at the chance to don the Royal Mail badge and ride his very own bicycle. But will Billy be able to keep all the village residents happy with his deliveries?